PLEASE NOTE: Purchase this item as an addition to the Afex™ Incontinence Management System or as a replacement product only. 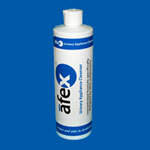 The Afex™ Extension Tube Assembly and the Afex™ Receptacle are required to use this product! The Leg Wrap is made of a breathable mesh that helps prevent skin breakdown and skin irritation. It features a convenient pouch to hold your Leg Bag in place and to separate the bag from your skin. 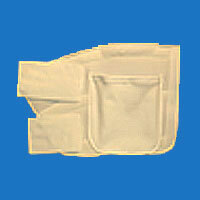 Wear the wrap and bag on the inside upper thigh area to make it virtually unnoticeable. 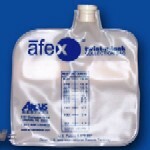 For more information about other unique components of the Afex system, click on the item's picture to your right. If you have additional questions, you can always call our toll free number, 1.888.833.8875, Monday through Friday, 9:00 a.m. to 5.00 p.m. EST.